The new, revised and complete edition of the standard book on the world's bayonets. With detailed drawings and information on more than 1000 bayonets, classified by country, and with indices on markings and manufacturers. This new edition is arranged into 46 national chapters, depicting and describing the bayonets by country. These chapters start with an introduction, describing the main developments and listing the bayonets in chronological order. Thereafter follows a detailed description of each bayonet, composed of one or more drawings of the bayonet and its scabbard, accompanied by information on the corresponding firearm, the blade, hilt, scabbard and dimensions, and remarks on manufacture and/or differences with similar models. 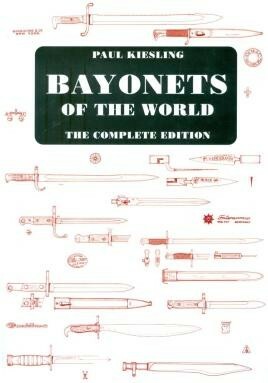 This edition of Paul Kiesling's Bayonets of the World is the most complete book on bayonets ever published, and the reference work by which all other bayonet books are measured.